Ever contrary, Frank Zappa released Cruising with Ruben & the Jets, a vigorous ode to the doo-wop and R&B of his youth, in 1968, when the boundaries of rock were being stretched by the likes of the Beatles, Hendrix and Zappa’s own Mothers of Invention. 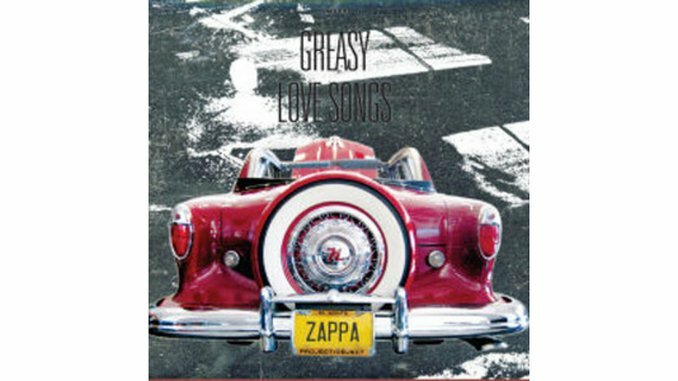 Greasy Love Songs unearths that highly entertaining album, presented here in the “original 1968 vinyl stereo mix,” along with alternate versions and related ephemera. Leading a cast that includes crooning lead singer Ray Collins and bassist Roy Estrada (pre-Little Feat), Zappa celebrates “cretin simplicity,” as he says in the liner notes, on the sleazy “Cheap Thrills,” the toe-tapping suicide threat “Stuff Up the Cracks,” and the zippy “Jelly Roll Gum Drop,” displaying little of the smarter-than-thou smugness that sometimes mars his other early albums. Among the extras, excerpts from Zappa radio interviews strike a self-congratulatory note fortunately lacking elsewhere, though the charming ballad “Valerie,” later redone for Burnt Weeny Sandwich, more than makes up for that.